I'm guessing when Dylan Higgins was a child and people asked what he was going to be when he grew up, he never said, "I'm going to be a Central African payments entrepreneur." For one thing: Dylan Higgins is not African. He was born and raised in Washington State, and the idea for his Kenyan payments company, Kopo Kopo, was conceived with friends in a basement in Seattle. Rule No. 1 of Silicon Valley entrepreneurship is that you intimately know your market and build something for yourself. Rule No. 1 broken. Yet, against seemingly insurmountable odds, Kopo Kopo seems to be working. Fast forward three years from that basement conversation, and Kopo Kopo is announcing a $2.6 million series A round of capital, led by Javelin Venture Partners, with Accion Venture Lab and existing investor Vinod Khosla’s Impact Fund. More important than cash is traction: Kopo Kopo has about 10,000 merchants on its Square-like platform that piggybacks off the monstrously successful African mobile payments service, M-Pesa, and is signing up about 1,500 new ones a month. This funding will allow Kopo Kopo to continue to scale and expand beyond just Kenya to surrounding countries like Tanzania and Rwanda. 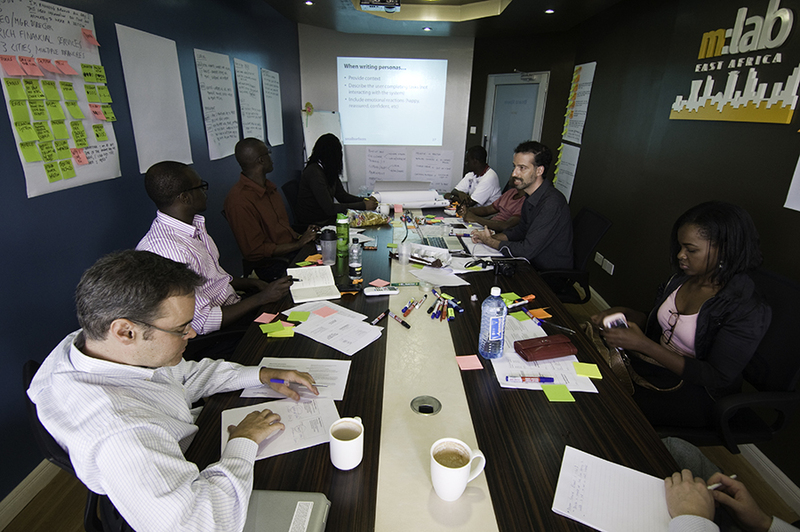 Kenya has captured the tech world's imagination in recent years and in a lot of good ways. Google and Microsoft have significant operations there, and it's been lauded for its fairly sophisticated developer community. It's most known for M-Pesa, the envy of mobile wallets in the developing and developed world with 70 percent of its adult population and some 30 percent of Kenya's GDP flowing through it. On paper, Kenya has been the symbol of what is working in Africa, a test-case for how a small nation could claw its way out of poverty and into modernity. But, as Higgins, his team, his investors, and the world were reminded during the Nairobi shopping mall attack this past September, Kenya is still an emerging market. And all emerging markets, no matter how promising, are fraught with serious risk and danger. For Higgins and his co-founders Ben Lyon and Tom Bostlemann this danger isn't enough to keep them locked in their Seattle basement, though. Since starting the company in 2010, Higgins has hired a Kenyan team, married a Kenyan wife, has a Kenyan baby on the way, and adopted the country as his home -- terrorists and gigantic financial opportunity and all. Higgins and his co-founders have learned a lot about the Kenyan payments market by iterating and adapting on the ground. The original concept for Kopo Kopo was a payments system for micro finance organizations, but they quickly learned that those organizations are not typically early adopters. When he moved to Kenya, Higgins was stunned at the sheer ubiquity of M-Pesa. Everyone has heard the adoption stats, but actually seeing it and living in it was another thing. M-Pesa isn't merely big in Kenya, it's a widely-used verb. "I knew it, but it didn't click until I was out here," Higgins says. "It's all cash in emerging markets and there are so many problems around cash. 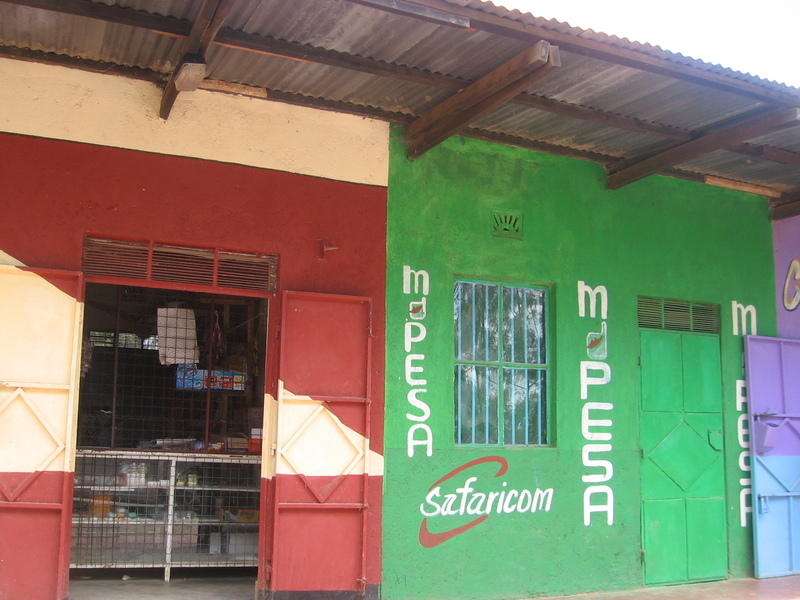 M-Pesa is one of the fastest growing technologies ever in place. This is a once in a life time opportunity to really disrupt payments as we know it." Kopo Kopo is not only trying to do a mash-up of Square and Intuit, but it's trying to do it in the chaotic emerging world. According to Mastercard's stats, an astounding 85 percent of the world's payments are still done in cash, and more than 90 percent of small businesses still track payments via pen and paper. Kopo Kopo's vision is bigger even than being the Square of the emerging world. Higgins sees its payment system as a Trojan Horse to developing a relationship with these many fragmented merchants. Jumping out of the horse will be all kinds of small business technology tools. "Technology is a great democratizer," he says. "There is no reason we can't have the same CRM and inventory management and payment tools for a corner store in Nairobi that a big business in the US has." Adds his investor Mark Straub of Khosla Impact, "No one has a digital view of these merchants businesses like we do." That's arguably too bold and ambitious of a vision. Kopo Kopo is not only trying to do a mash-up of Square and Intuit, it's doing it in the chaotic emerging world. And even with this new round of capital aside, it'll never be able to raise anything like the money Square has. After an initial $130,000 investment from friends and family, Kopo Kopo managed to raise a $725,000 seed round from the little-known Khosla Impact, a fund that invests Vinod Khosla's money in early stage companies in the emerging world. The fund is mostly focused on India, and this was its first African deal. It isn't necessarily focused on tech companies, but rather companies that make life better for the bottom half of the economic world, says Straub of Khosla Impact. Given Khosla Ventures' investment in Square, there were obvious shared learnings it could apply, Straub says. "It was earlier than we expected to invest in Africa, but the team we came across had a really good idea and it made a lot of sense given what was happening with payments in Kenya at the time," he says. The context and the technology is very different from Square. "Imagine if PayPal had happened before Visa," Straub says. "That's what we're talking about." But the value proposition and the thinking was similar. In the case of Square, the bulk of the US population was walking around with a mag stripe in their pockets and merchants had no easy way of processing them. Similarly in Kenya, 70 percent of the adult population is walking around with digital bank accounts that merchants can't easily tap. The most impressive thing that Kopo Kopo has pulled off in Straub's mind is its tenuous partnership with Safaricom. Dealing with the big incumbent in a market isn't easy. They own the dominant payment platform throughout the country. Why do they need this tiny startup that was dreamed up by a few guys in the US? Kenya is a magical combination, a country where 70 percent of the adult population and 30 percent of the GDP is on one digital system. And yet, there was no easy way for merchants to accept payments over it. 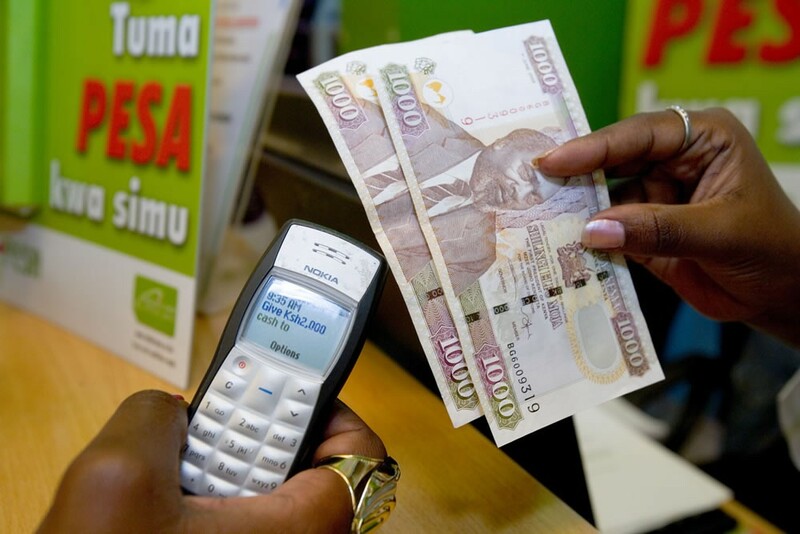 M-Pesa is optimized for sending money between individuals. Sure, taxi drivers use it to get paid, but they are using personal M-Pesa accounts. How does a shop owner do that? Do individual clerks use their own accounts and somehow reconcile it with the till? It was completely untenable. There was a huge percentage of Kenyan money circulating digitally but no easy way to use it to pay for things. When Kopo Kopo started, M-Pesa's parent company Safaricom had just 100 formal merchant accounts, Higgins says. Now, Kopo Kopo gives merchants a new SIM card that goes into any phone and allows it to act as a simple point-of-sale system, the same way Square does on an iPhone. A five-digit number is assigned to the merchant, and customers can pay for goods the same way they'd buy more airtime or send money to a loved one. To make that system viable, Kopo Kopo managed to convince Safaricom to alter the way M-Pesa works. M-Pesa has always worked like a remittance system. Think of it like Western Union. The person sending the money was the one who paid a fee. But that wasn't going to work for broad merchant adoption -- people would just use cash. The standard in the payment world is for the one taking the payment to absorb any fees in order to offer the convenience of paying digitally. Kopo Kopo managed to convince Safaricom not only to remove the fee to the customer in these cases, but to have a single fixed fee of 1.5 percent versus a confusing system of tiers. No small feat. But here's the problem. In the process Kopo Kopo awakened a sleeping giant. Safaricom has since gotten wise to how big of a potential market and how much of a no-brainer extension of M-Pesa a merchant platform is. It's now directly competing with Kopo Kopo, which has 10,000 merchants on its platform and is targeting 100,000 over the next six months. Dylan Higgins: "I'd love to see Kopo Kopo everywhere and if we had hundreds of millions of dollars, we'd totally do that. But we're a startup in Kenya. We have to deal with the cards we were dealt." Meanwhile SafariCom is aggressively competing, and going after the bigger fish, while Kopo Kopo struggles to sign up mom and pops one by one. Kopo Kopo is in the uncomfortable position of having educated its biggest competitor how to make Safaricom's competing product better. "We've had to have a philosophy that we are growing the whole pie," Higgins says. "There is some friction around the edges but what it means is we've now proven this is a massive market." That means Kopo Kopo has to be smarter about acquiring customers and build the best possible, most intuitive and easy to use product it can. Kopo Kopo is wisely already starting to focus on markets adjacent to Kenya. These markets don't have the same advantage of the ubiquitous M-Pesa but they also don't have the disadvantage of competing with a single dominant carrier that controls most of the country's money like Safaricom. It's hoping that several large carrier-wide partnerships can allow it to go to market with carriers in these countries, not fight against them. "Investors always ask us why we don't focus on building a big consumer brand," Higgins says. "I'd love to see Kopo Kopo everywhere and if we had hundreds of millions of dollars, we'd totally do that. But we're a startup in Kenya. We have to deal with the cards we were dealt. One of the things we've done right is deciding early on to partner deeply with payment providers as opposed to doing it all ourselves." Adds Straub, "The real opportunity is to enable carriers to do this themselves. What we've developed inside Kenya can be packaged up and offered up in a platform. We have at least six months lead on everyone else." The company can't sit on a pile of venture capital, perfecting a product in the abstract and hope it finds a market later on. It has to deeply understand its customer, what they need and how to reach them through a crazy quilt of SEO, third party affiliate networks, street marketing squads, out of work high school kids, and various hired guns who sell a trench coat full of micro-goods and services to these stores. Higgins has had to train his local staff on what being part of a high-growth tech startup is about. They've spent six months running new experiments every two weeks to try and perfect customer acquisition. Over the process they've gone from signing up 75 to 100 merchants a month to 1,000 merchants a month. That's an exhausting pace of change in a country like Kenya, which has a very different business culture. One of Higgins' best employees was at wit's end, coming up to him in the middle of all this and saying: "I love working here, but every two weeks my job changes, and it's very hard for me." Higgins kept him at the company by showing the value of constant A/B testing in customer acquisition tactics. Still, those are conversations a CEO in the Valley rarely has to have. In emerging markets, you don't just compete against incumbents and other startups. You compete against corruption, fraud, terrorism, political systems in constant flux, and the delicate dance between hyper-growth and total instability. And that's before we even talk about the recent terrorist activities. "It's definitely been a set-back," he says, with astounding understatement. "This is still a society that is emerging and a country that is emerging." In some ways, he describes it as a reality check for the outside world. "There was an artificial halo put around Kenya and this is a reminder the this is still an emerging market with all of its problems." Adds Straub, "In spite of all the bad, Kenyans don't stop going to work everyday. They go on with their lives. The day to day commerce of Kenya continues." Over several years traveling between emerging markets, I've seen a lot of ventures trying to solve this micro-payment, cash-only-problem throughout Asia, India, and Central Africa. KopoKopo is one of the more promising, technologically savvy, and now, well-funded ones out there. It's timing and location of picking Kenya just before Safaricom wised up to merchants was either lucky, brilliant or a mix of the two. But continuing to scale and execute will not be easy. In emerging markets, you don't just compete against incumbents and other startups. You compete against corruption, fraud, terrorism, political systems in constant flux, and the delicate dance between hyper-growth and total instability. You compete against daily life. While almost incomprehensibly hard, solving digital payments is also the most important thing a entrepreneur could be doing to unlock value in the emerging world. In most countries, even massive ones like Nigeria and Indonesia, payments are a huge challenge that can bedevil any company that tries to pop up or any American concern that seeks to expand there. Even in comparatively sophisticated China, the solutions have included extensive courier networks taking cash-on-delivery for good purchased digitally. So far, much of the emerging world has grown through sheer force of economics and something the Indians call "Jugaad." For these economies and their entrepreneurs to truly modernize, they need better more modern payment infrastructure. If Kopo Kopo can help, it will do more than deliver a return to investors. It will help change life in the developing world.